Sometime back, I toured the Lubee Bat Conservatory in Gainesville Florida. 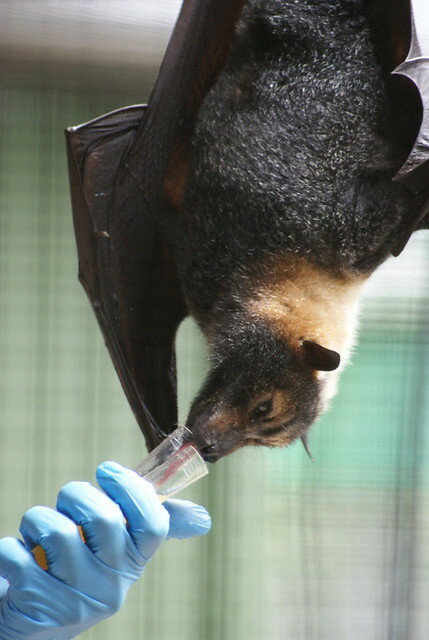 The conservatory is a non-profit that works with other organizations to save fruit bats and their habitats. Founded by Luis Bacardi in 1989, the conservatory is housed on a 110 acre ranch, just outside Gainesville, FL. 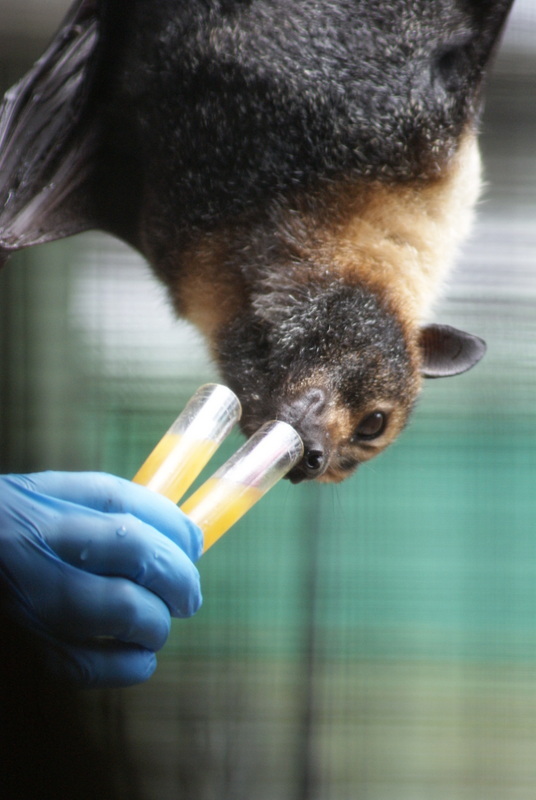 If you want to see the bats, and tour the facility, you have to request and schedule a visit, up to a month ahead of time, as it is a conservation and research facility, not a zoo. There is no entry cost, but, as the researchers are taking time out of their work, and it is a non-profit, there are required donations that go toward the education programs that they run for schools and groups that come in. 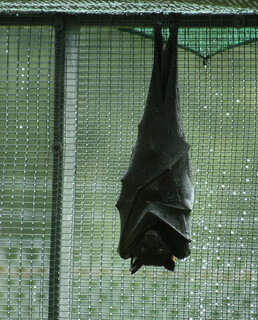 I was delighted to see that they have one Spectacled Flying Fox, my most favorite species of bat. Named Kuri, she was donated, dropped off outside the gates of the conservatory. They don’t know where she came from, who owned her, or how she even came to be in the United States. She lives quite happily in a large enclosure on the grounds of the conservatory. 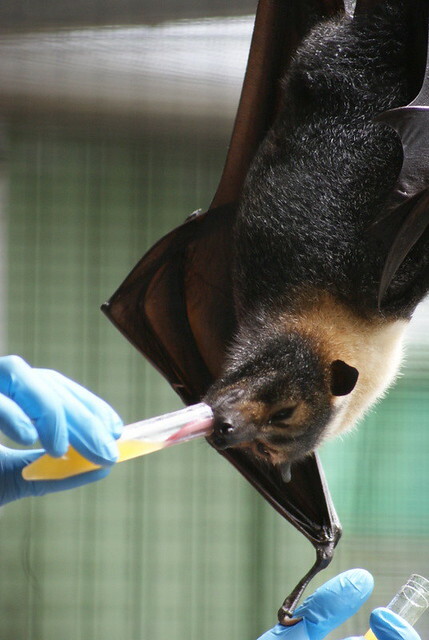 Our tour guide feed her, oh so sweetly, from a test tube filled with fruit juice/puree, so that our group could see just how long her tongue is. She had the sweetest way of scrunching her little face, it reminded me so much of a little dog. It was a hot day, so a lot of the bats were hanging around in the shade, under water sprayers that they have set up to keep everyone cool and hydrated. The wing spans on the bats are truly amazing, ranging from a few feet, to well over 6 feet. This bat, was so tightly wrapped, it reminded me of a butterfly chrysalis.